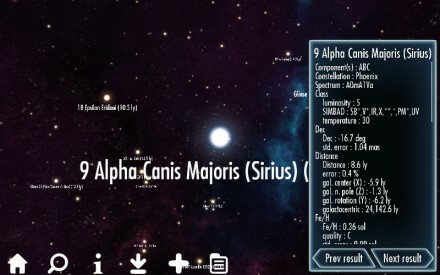 Explore a 3D visualisation of nearby space with Galaxy Explorer! Get it now, free for your phone or tablet! 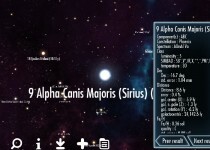 Galaxy Explorer puts a 3D visualisation of nearly 15,000 nearby stars into the palm of your hand. 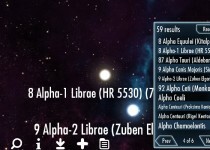 The database contains detailed information about these bodies, such as their distance, stellar classification and composition. 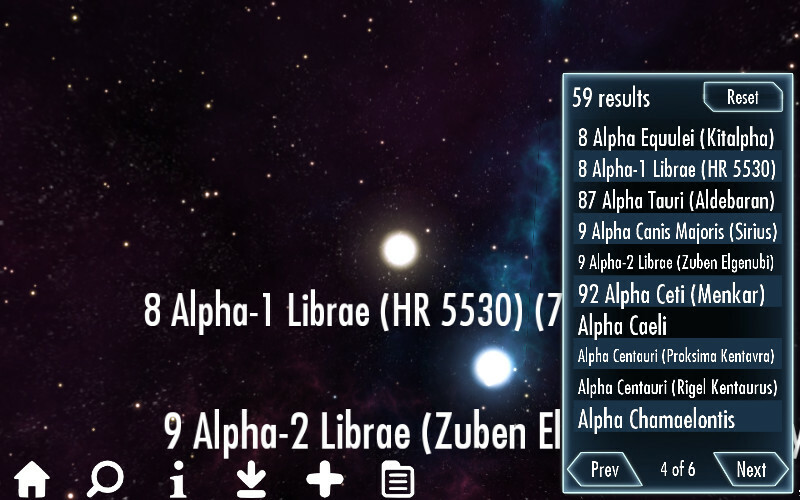 A comprehensive and easy to use search function that lets you search for stars with particular properties. 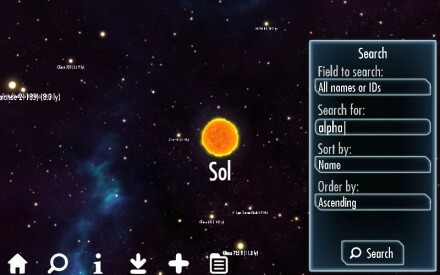 Field include stars names, id’s from various catalogs and spectral type. Search results are presented in an easy to use, interactive list. 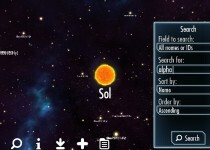 Clicking on a star to fly through space to its location relative to Sol. 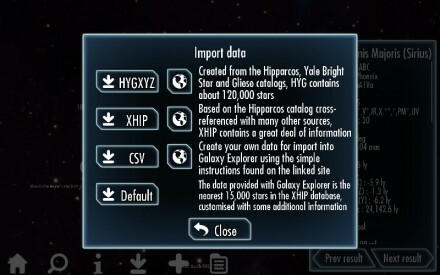 If the built in data isn’t enough, then you can import more from the Hipparcos, Yale Bright Star and Gliese (HYGXYZ) and XHIP data sets. Need more? You can also create your own data file. The only fields that required are a name, a position and a stellar classification. 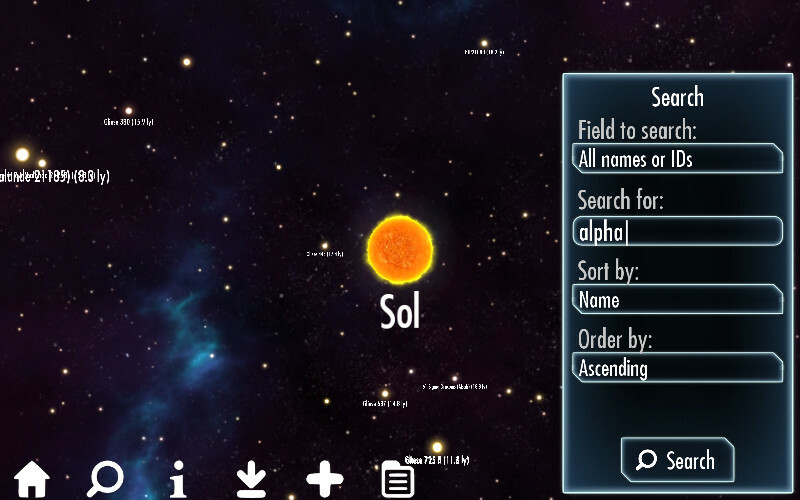 Add as many extra fields as you like and Galaxy Explorer will format it and display it in the info panel when you view the star in the app. 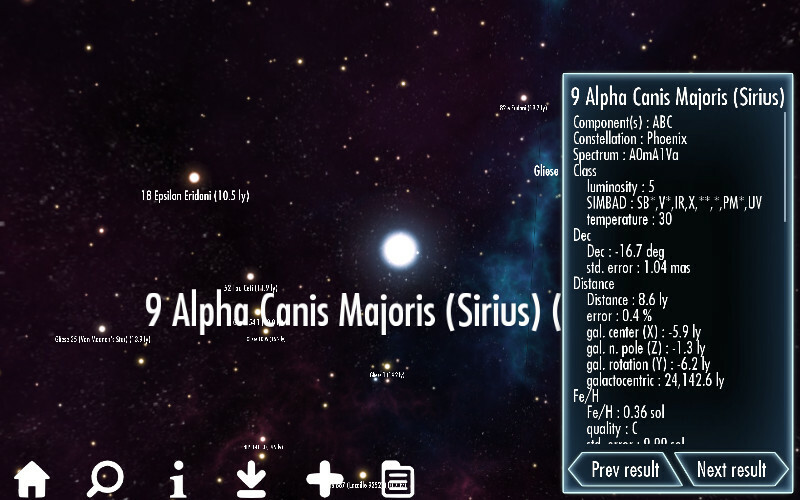 Want a dataset that only includes stars that make up the signs of the zodiac? No problem. Galaxy Explorer integrates with DropBox so you can avoid messing around with file transfers. 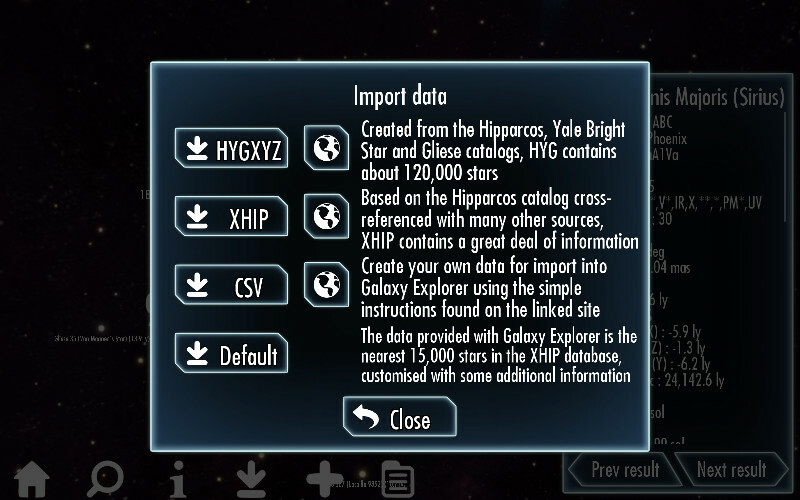 For information on creating a data file, please see the Galaxy Explorer Help and FAQ page. The RAM built into your device is Galaxy Explorer’s only limit. The default data contains 15,000 stars because that is the maximum number that can be loaded on a device with limited memory. 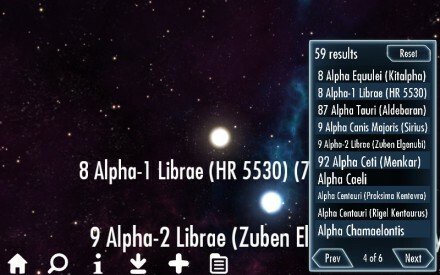 More powerful devices can handle many more stars. Tests have shown that the app is still smooth and fast with 100,000 visible stars on devices with as little as 1GB of RAM. 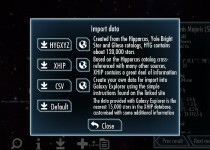 With enough data, Galaxy Explorer is a great workout for any device. Solar Explorer: Crazy moons and Virtual Reality?